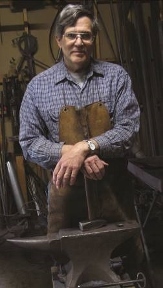 Public Welcome to enter Blacksmith Days event area from Noon to 4:00 PM for the Regular Farm Museum Entry Fee. The Farm Museum is open from 9AM to 4PM. Meals are Not included. To make additional selections, click "Continue Shopping" during checkout. Thursday May 16th, 2017 - Fee will be $125. 1. Use an appropriate single high carbon steel bar (No pattern welded billets). 3/4 inch square and 6 inches long. 2. No handle material attached to the blade, axe, etc. 3. 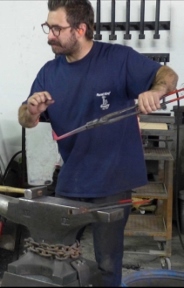 Use all of the bar to forge your item. 4. Be creative, think outside of the bar. 1. Use a single piece of mild steel or wrought iron, 3/4 inch square and 6 inches long. 2. Forge the bar to different size stock for multiple components if needed. 3. Use all of the bar to forge your item(s). 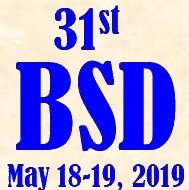 Rules: Entries must be forged by the Entrant since BSD 2018; One entry per registration, per contest; Demonstrators will judge contest on design, technical details, and overall execution; The judges decisions are final; First, Second, and Third prizes will be awarded for each forging contest. Limited on-site, RV and primitive camping available for $25 per night payable directly to the Carroll County Farm Museum upon arrival - Waived for 2019 only. Public restrooms are available, No hook-ups or showers. All Campers will be required to complete and sign the Farm Museum Liability Release Statement. Bring examples of your work and/or portfolio to network with other smiths and show the public.